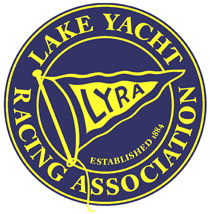 A fleet of 73 boats competed in the 2015 LYRA course races at SBYC. SBYC did a fantastic job of giving each fleet just what they wanted in terms of number of days, number of races and length of races. The weather was great and so were the parties. The C course hosted the four one-design classes competing at LYRA. Nine J/80’s, five Olson 30’s, five R boats and five C&C 29’s battled it out in close racing. The B course gathered the PHRF fleets with a total of 33 boats racing in five divisions. The A course was the venue for the IRC classes and the 8-Metre fleet. Racing was close in the two IRC classes, while a venerable fleet of 8-Metres had their largest fleet in several years including a mixture of classic and modern boats. The overall PHRF champion was the J/22 Mo Money steered by Kevin Doyle from YYC. Mo dominated the series with a perfect score of seven 1st places. The overall IRC champion was Silver Bullet, a Beneteau 40.7 from RYC sailed by Travis Odenbach and Terry Shannon. There was great racing on Course A where I was on the water. Friday dawned bright and sunny with a good breeze out of the northwest. As the fleet motored out, competitors were delighted to hear the resonant voice of Wayne Bretsch – PRO Extraordinaire – on the radio. When Wayne is in charge, you know you are in for a great day. The good breeze started to mellow even before racing got underway, and all but shut off on the last leg of race 1, enabling several tail-enders to catch up – including IRC 2 competitor Silver Bullet who went from last to first in a close finish with Amorita. Race 2 started in a light and very shifty breeze. Jim McGuiness’ IMX-38 Five Fifteen, also racing in IRC 2, outsmarted the fleet by starting on Port tack at the pin before tacking to starboard and leading everyone left on the first beat. They hung on to their lead and won the race. In IRC 1, Rampage dominated race 1 from wire to wire, while Sandy McDonald’s Gaucho was 2nd. Race 2 was won by Scott McCloud’s J/133 Hot Water. Wayne called it a day after two races as the breeze had pretty much quit. Saturday proved to be a classic Sodus day with 20-25 knots out of the northwest. With fluctuations of just 2-3 degrees either way, the day was all about getting a good start and not making any big mistakes. For the smaller boats, it was generally a long tough day, but for those who love heavy air, it was magic. There was some carnage on the A course, with Five Fifteen and Gaucho both dropping out for the day, and Rampage missing race 2 due to a hydraulic line break that caused a crew member to slip overboard. Luckily they never lost their grip and were hauled back aboard quickly. Silver Bullet and Rampage and Gefion were the winners in Race 3, all leading wire to wire. Race 4 saw Silver Bullet give up a huge lead with a snarl at the leeward mark that allowed Amorita to pass and go on to win, while Hot Water took advantage of the conditions to win IRC 1. Gefion dominated the 8-Metre class winning Race 4 to close the day with a perfect score. Race 5 was shortened to once around, no doubt to give the race committee some much needed rest after a long day working in big seas. Silver Bullet took another 1st in IRC 2, while Rampage made their comeback count with a 1st in IRC 2. Vivid memories of that great day are keeping lots of sailors going through this long winter. Sunday started light and got lighter as summer weather returned. Race 1 was a game of “connect the dots” as patches of wind enabled lucky boats to leap forward while others were stopped. In IRC 2, the venerable Red Jacket sailed smart to win Race 6 with Five Fifteen making a great comeback to earn 2nd. In IRC 1, Hot Water and Rampage started Race 6 tied on points, with Hot Water coming first and Rampage 2nd setting up a big last race. Gefion won Race 6 for the 8-Metres with Iskareen 2nd. Race 7 started with very light air and was shortened to one lap with Silver Bullet finding enough wind to win IRC 2, with Red Jacket 2nd. Rampage found top gear winning the race in IRC 1, tying Hot Water on points and winning the series on the tie-breaker. Bangalore, the oldest 8-Metre in the fleet, cruised to 1st in the final race, with Gefion a distant 5th, but that was more than enough for them to win the class. At the awards, skipper Travis Odenbach savoured the overall IRC win as the 3rd generation Odenbach to win the City of Hamilton Mayor’s Trophy.